Breath of the Wild has been out for over a year now, yet players are still finding secrets, references, and continuity nods to other parts of the storied Zelda franchise. One such nod is in the Trials of the Sword DLC. Redditor kamuilyn found this great shoutout to Ocarina of Time, as the monks within the final room are resting in the iconic poses of the Seven Sages from the climactic final battle of Ocarina of Time. 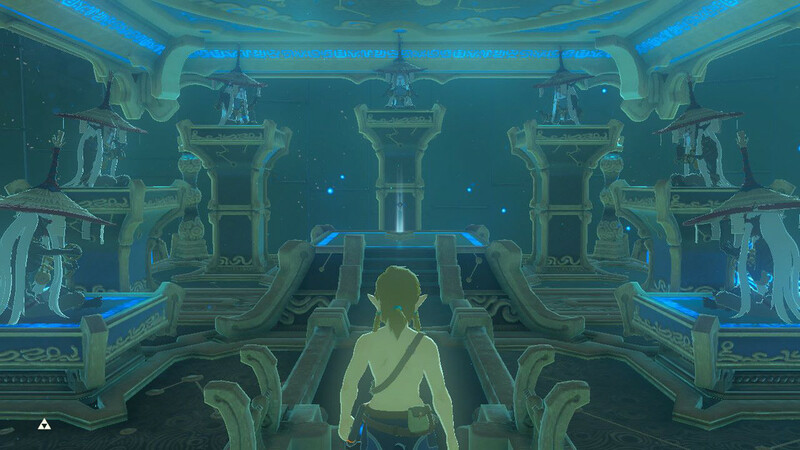 Fans may well remember how each of the sages struck a unique pose to seal Ganondorf away, and their memory is immortalized in the most recent Zelda game. I think it’s pretty cool for Nintendo to add such a great throwback. I’m greatly enjoying Breath of the Wild, and seeing many locations in this era versus the earlier games brings a sort of sad nostalgia to me. Finding the ruins of the Temple of Time, for example, brought a strange melancholy to my mind, seeing something so timeless in ruins. Looking upon this is another example of the feeling. Did you notice this nod to another beloved Zelda title? Perhaps you’ve found something else? Let us know down below!